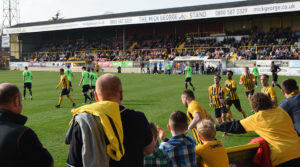 It looked like everyone had a great day, and we had a fantastic crowd of over 1,400 people to watch and cheer the first team on as they won 4-1 at home. 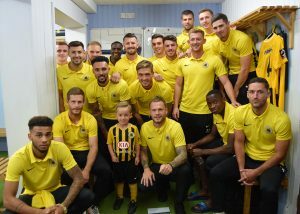 It just goes to show how important our football fans are – you helped create a fantastic positive atmosphere and it really made a difference. 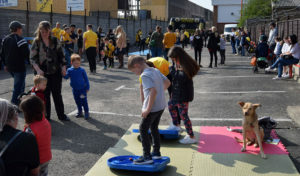 Throughout the day we had lots going on including a FanZone in the Matalan car park with free activities and face painting for people to enjoy and have a go at including basketball, golf, wobblyboards and our target goal. 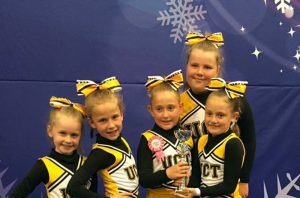 We also had demonstrations from our Cheer & Dance teams. 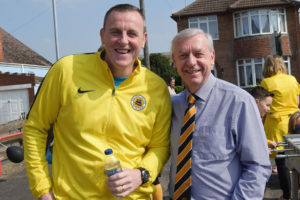 It was great to see Craig Elliott, his coaching team and the players visiting the FanZone and chatting and taking part in activities with the crowd as well as our Chairman Dave. 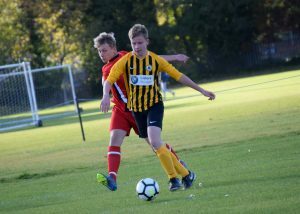 As well as celebrating the club’s sports charity, we also wanted to help highlight the Fans for Diversity scheme and that we are a club that welcomes and celebrates everyone within our local community. 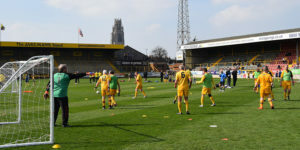 All the staff working on the day wore Fans for Diversity t-shirts, and the first team players wore theirs during the warm up, which they signed and handed out to children afterwards. 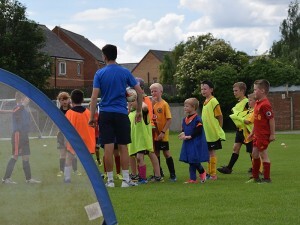 We also launched a new Family Zone under the Mick George Stand with the help of coach Lewis Cook. 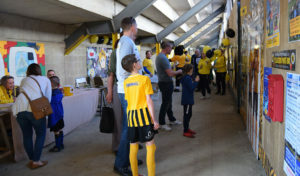 This area will be available at every home game, and it has created a hub for families to come together and enjoy activities pre match and at half time. 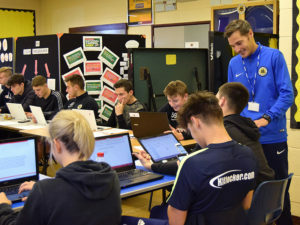 There is table football, a colouring table, lots of photographs and fun things to read, a Fan Post box so fans can write letters to the players which we will deliver, and more! 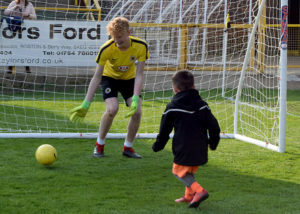 Our coach Lewis Wright helped to organise an array of activities on the pitch before the game and at half time – providing a great demonstration of just some of the things we offer at Boston United Community Foundation! 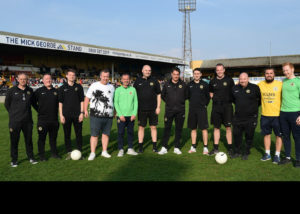 Our walking footballers had a game before kick off, along with a number of our grassroots community teams. 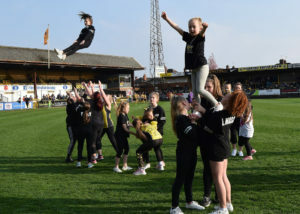 At half time, our United Cheer Team put on a variety of routines whilst Boston United Ladies did a lap of honour to celebrate winning their league. 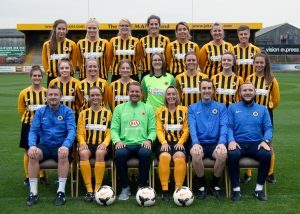 It was great to see so many of our fans clapping and cheering the ladies especially after another amazing season. 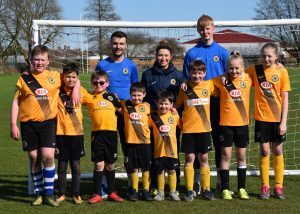 Our community coaches got to put their skills to the test in a crossbar challenge that saw Jonathan Wafula, Andi Thanoj and Andre Johnson take part in too, and children also got to try and score a goal past Youth Team goalkeeper Jake Frestle. 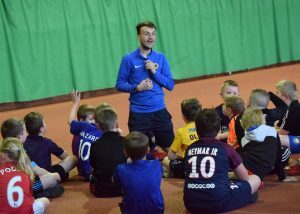 One area we were focused on was to try and involve as many local schools and their children at the game as we could. 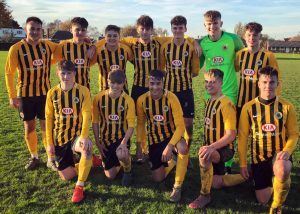 With this in mind, we offered free tickets to all local schools including a local Polish School so their school children come and watch the game and enjoy the day – something they may not have had the chance to do otherwise. 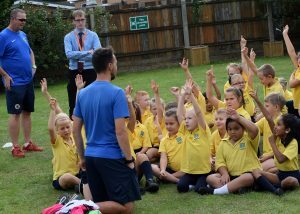 The schools could either give the tickets away for free or sell them for a £1 and that money was then re-invested back in to the school to help. 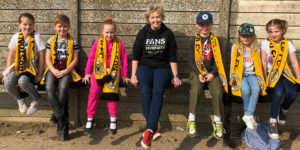 This was a fantastic chance for us to introduce these children and their parents to Boston United and hopefully they will return to become life-long fans! 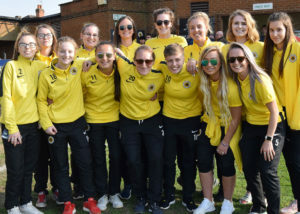 We would like to say thank you to all the staff, volunteers, youth and ladies’ players who helped on the day. We really appreciate your on-going support and you helped make the day one to remember!! We have received such positive feedback since the event, and it is definitely one we would like to hold again in the future.